Early in 2002 the Cromarty Arts Trust were wondering how best to take the future of the stables forward. 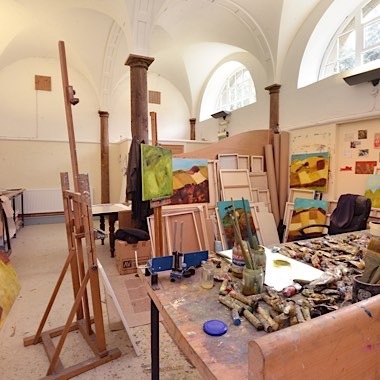 Following a visit from an inspirational octogenarian sculptor with a “just do it” attitude, they took a leap in the dark and adapted the stalls area in the Stables to become individual studio spaces for local artists: a rare commodity in the Highlands of Scotland at that time. We then advertised the spaces for a contribution towards the running costs of the building, and held our breath wondering if the initiative would take off. Six people immediately applied, and the Stables Studios were born! Since then we have made room for a seventh artist, and over the years, 10 local artists have been given the space to work, at an affordable cost to help bridge the gap between semi-professional to professional status. 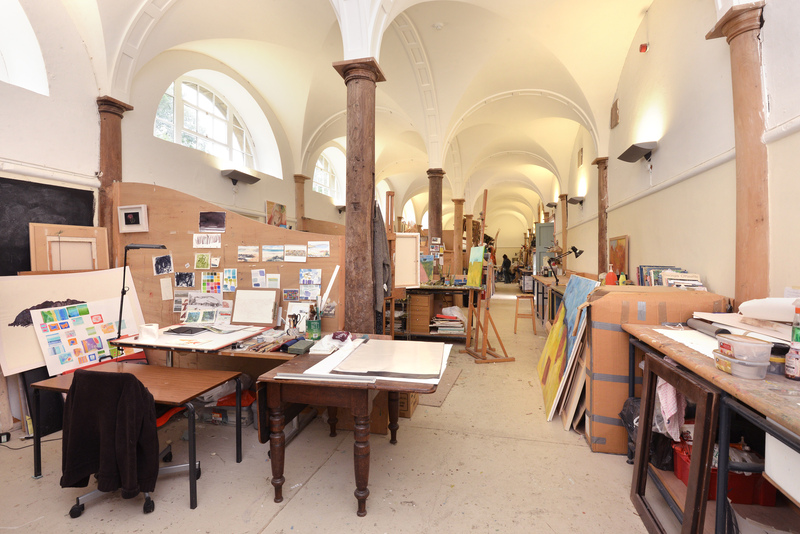 Our seventh 'bay' space is mostly kept clear for those taking Residencies with us or others seeking a very temporary working space at short notice. Many of the artists have collaborated on exhibitions both here, elsewhere in the Highlands, Scotland and the UK (and some overseas). 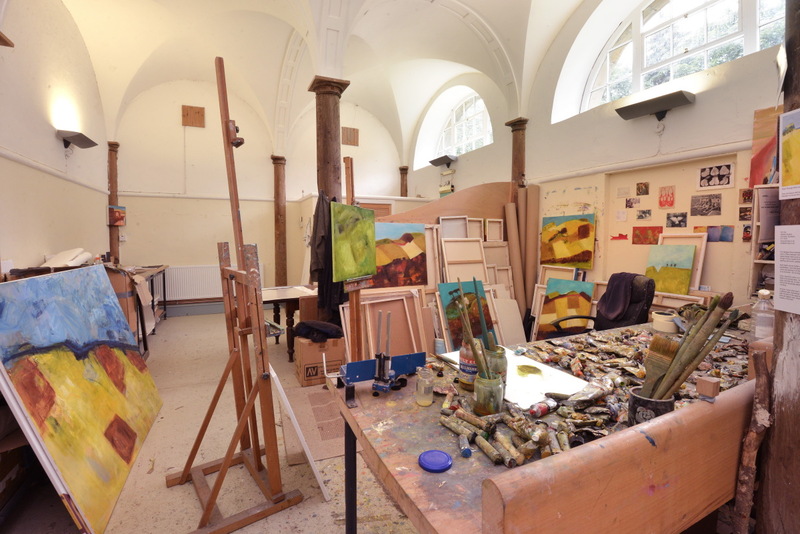 The Studio Artists also benefit from our visiting Artists in Residence, who in turn have appreciated the presence and camaraderie of the Studio Artists. We currently have one Stables Studio Bay available for rent (as at March 2019). If you are interested in finding out more, please email us and we can give you full details and arrange a visit if desired. If you'd prefer a private, larger space in the heart of Cromarty, we also have our Ardyne Studio currently available, in the centre of the town. In 2001 Pat moved to the Highlands from Canada. In 2004 she settled in Cromarty where she took a studio in the Stables and has never looked back! 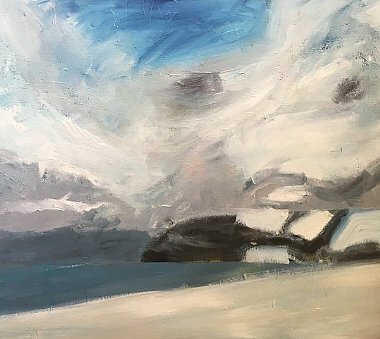 Her work is mainly in oils and mostly inspired by the landscape that surrounds her in Cromarty. The hills, the sea and the sky keep her coming back to the canvas. 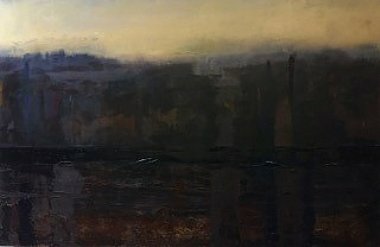 She goes back and forth between abstract landscapes and work that she likes to call 'abstracted from landscapes'. Sometimes even the rigs have inspired her. Leon Patchett has been a resident artist in the Stables Studios since 2002 when he began making sculptural work from natural materials found in the local environment. Leon has created a list of residency and exhibition opportunities both locally and internationally. In contrast his unique ceramics pieces meet a different impulse that demonstrates the need for a diverse creative experience. He is an artist who is inspired by the material and relies upon his appreciation its craft to best illustrate his abstract approach to creating art. I am driven by the desire to respond to direct experience in the world which then mixes with an imagined world. The materials I use respond to the image I have in mind such as natural, hand made and found objects, sound, technology and painting. I am interested in capturing the sumptuousness of nature and fascinated in how we relate and respond to it and within it. I was taught by Cornelia Parker and Im inspired by people like Nan Shepherd and Dalziel and Scullion. 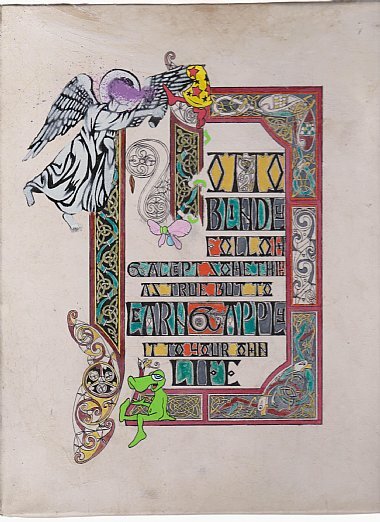 Thomas Keyes is a Fine Art parchmenter and Celtic manuscript illuminator based on the Black Isle. 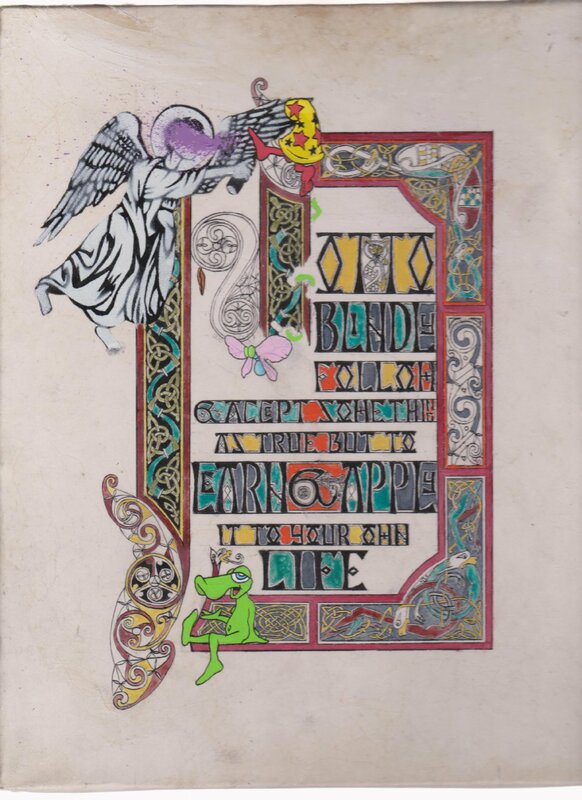 With a background in graffiti writing and foraging the artist has found the graphic style of insular art and the lengths the monks went too to make use of the materials from their surroundings an inspiration. Recently he has collaborated with Glasgow School of Art in partnership with An Lanntair to produce a contemporary illuminated manuscript for the Stornoway-Uig corridor, with Groam House Museum to produce Celtic work in response to the George Bain Collection and next aims to create Celtic themed graffiti murals throughout the Highlands and an Illumination with the National Library of Scotland.